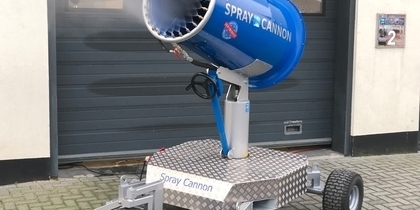 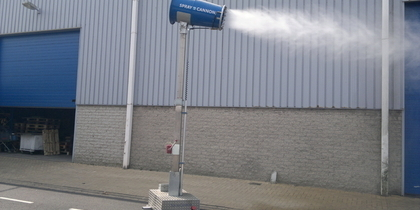 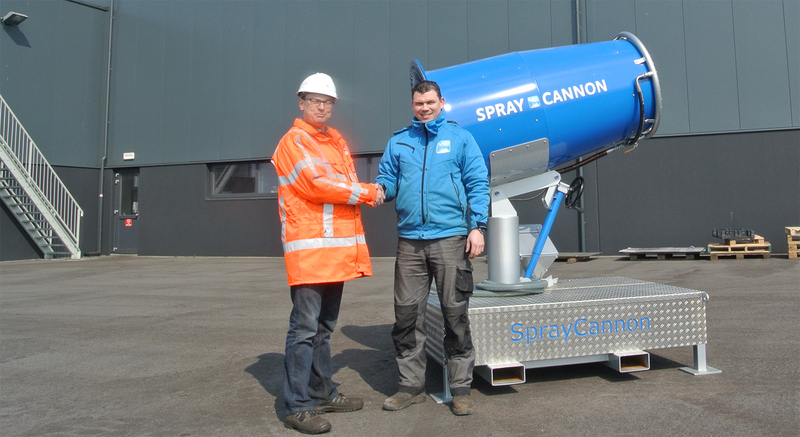 The SprayCannon is a fog/misting machine that produces a curtain of micro-waterdroplets. 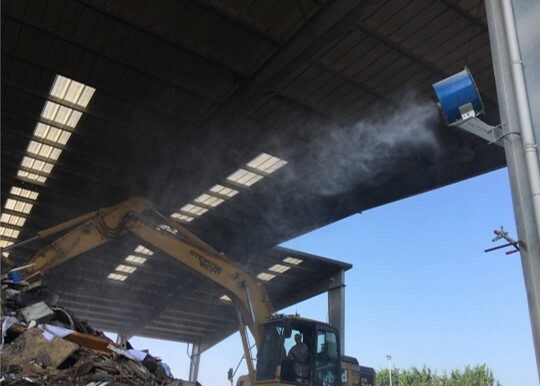 The curtain suppresses dust in open spaces by binding dust particles in the air so they fall to the ground through gravity (air cleansing). 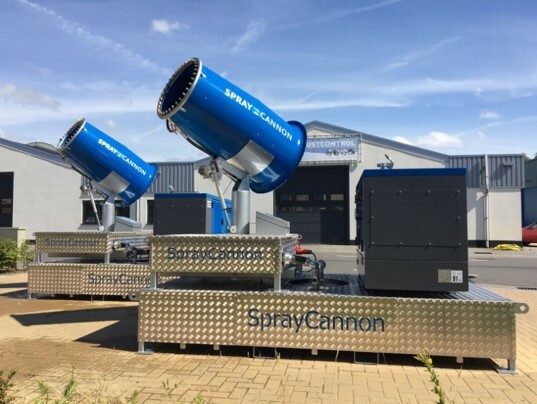 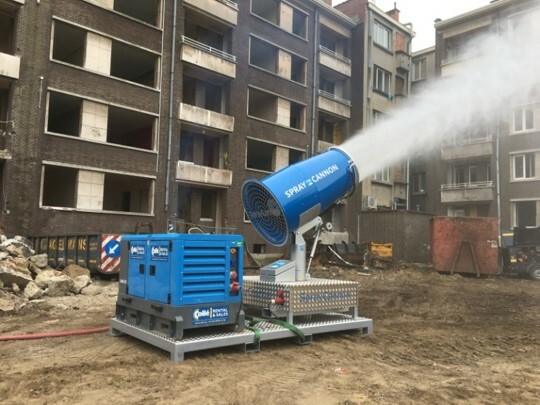 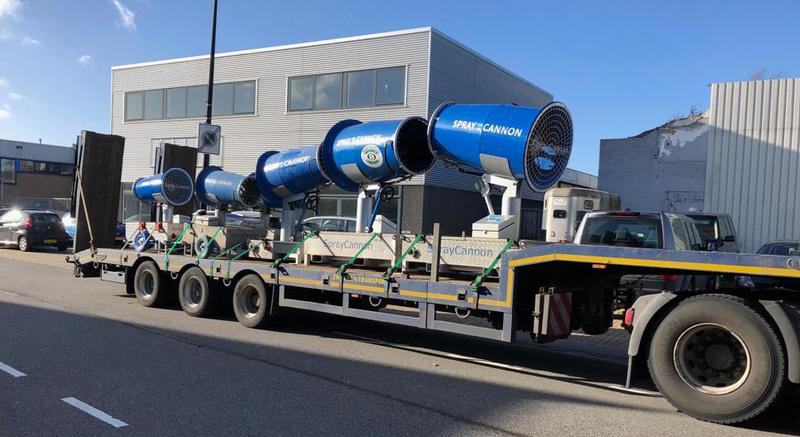 The SprayCannon suppresses dust in an environmentally friendly and efficient way at crushing sites, demolition sites, mining or when handling raw materials and cross-docking bulk goods, such as coal and ore.
You no longer need an employee to hold a hose, saving you money and man hours!